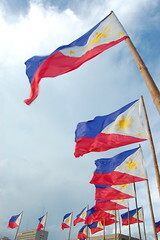 The government of the Philippines will not raise tax rates or instate new taxes in 2011 despite recent suggestions that such action is needed in order for the country to meet its development goals. On March 6th the Secretary of the Philippines Presidential Communications Development and Strategic Planning Office Ramon Carandan gave a statement on a government run radio station saying that no new taxes will be instated in the country this year, contrary to suggestions brought forward in a government think-tank report. Ramon Carandan’s statement was made in reply to a study released by the Philippine Institute for Development Studies (PIDS) in February, which said that the government needs to instate new taxes to gather the revenues necessary for the country to meet its Millennium Development Goals (MDGs) by 2015. The MDGs are a set of eight UN endorsed goals, which aim to eradicate poverty, increase education and diseases both nationally and internationally. The report suggested that to meet the pre-determined goals, the government would need to raise tax revenue levels by 17.8 percent per year between 2012 and 2015. In his statement Ramon Carandan said that the government is willing to consider the suggestion of instating new tax measures to widen the tax base, or raising the effective rates on value added tax (VAT) and personal income taxes, but it would be “…the very last possible resort we can go to in order to raise revenues.” He said that the government would concentrate on increasing tax collection efficiency and eradicating the occurrence of tax evasion. The PIDS study indicated that national tax authorities currently see a 4 percent gap between the countries potential cumulative VAT and income tax collections and the amount actually collected. Ramon Caranda went on to say that if the government’s efforts to eradicate tax evasion and raise efficiency did not yeild necessary results, then tax measures would be considered in 2012.